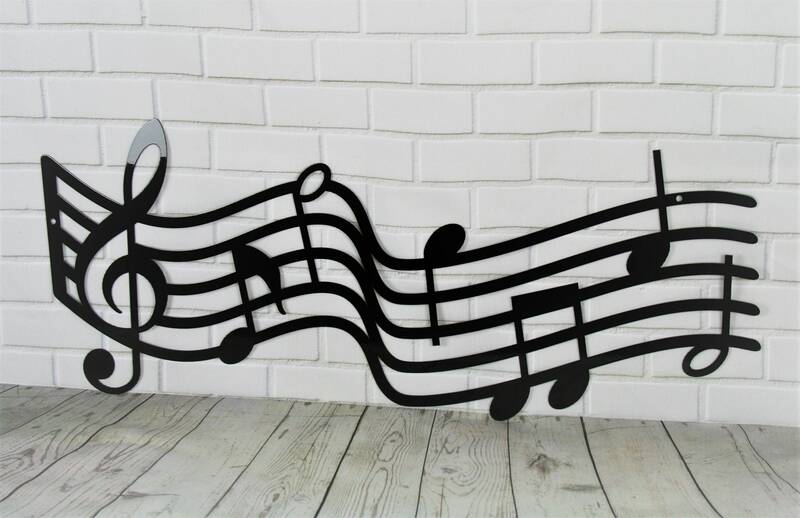 Extra Large Music Staff Wall Art! 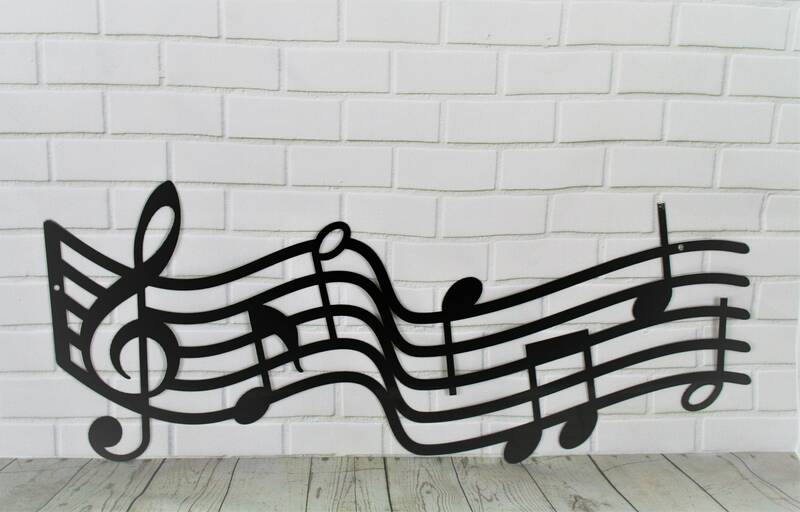 Music scale metal art is the perfect addition to your practice room, library or office. 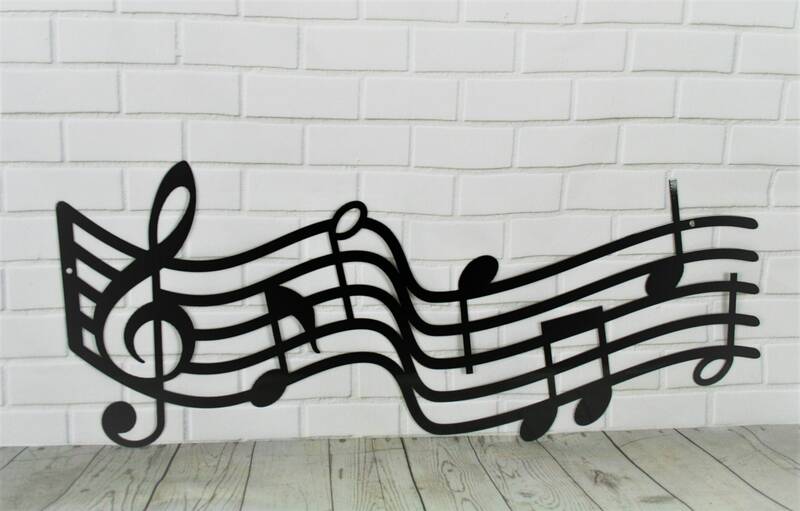 This beautiful sign makes a great art display in the kids' room too! 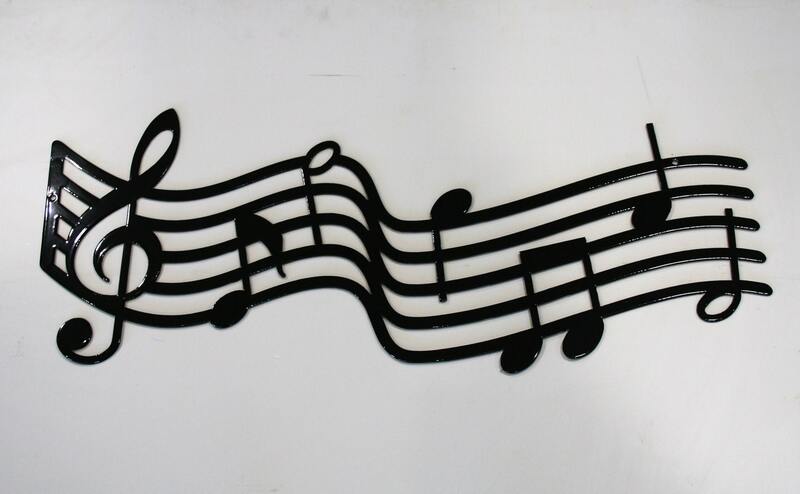 Music Notes are cut from thick steel for a sturdy, lifetime piece of art. 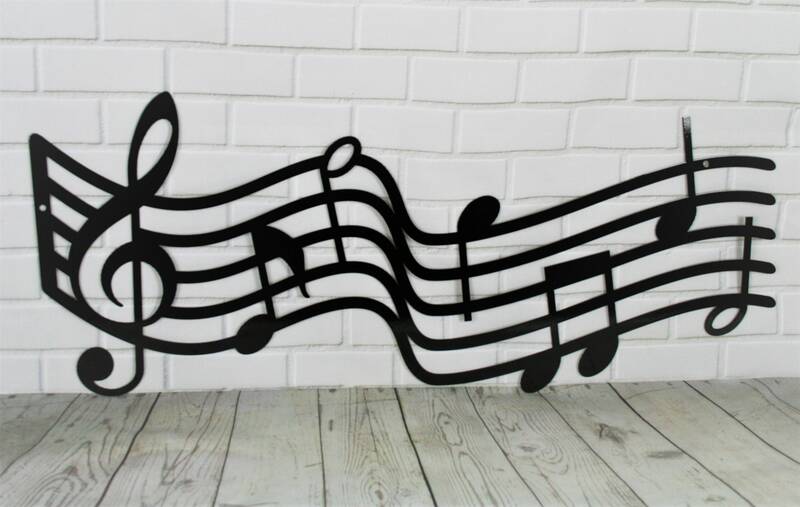 Large sign is 12.5" tall and 28" wide overall. Extra Large is 21.5" tall and 48" wide. 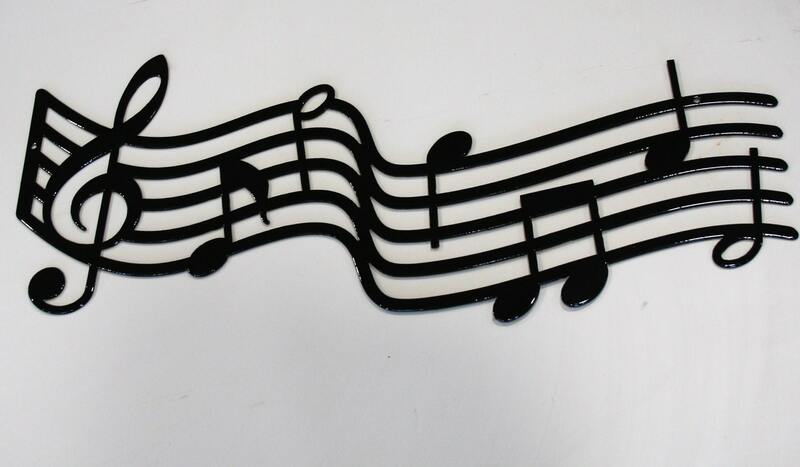 Small holes are included so you can hang the sign easily. 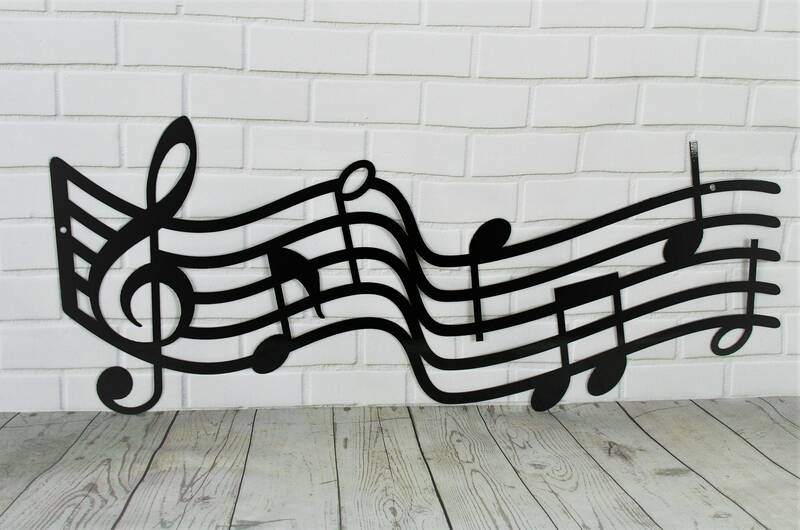 This beautiful music staff is powder-coated in your choice of gloss or matte black finish. 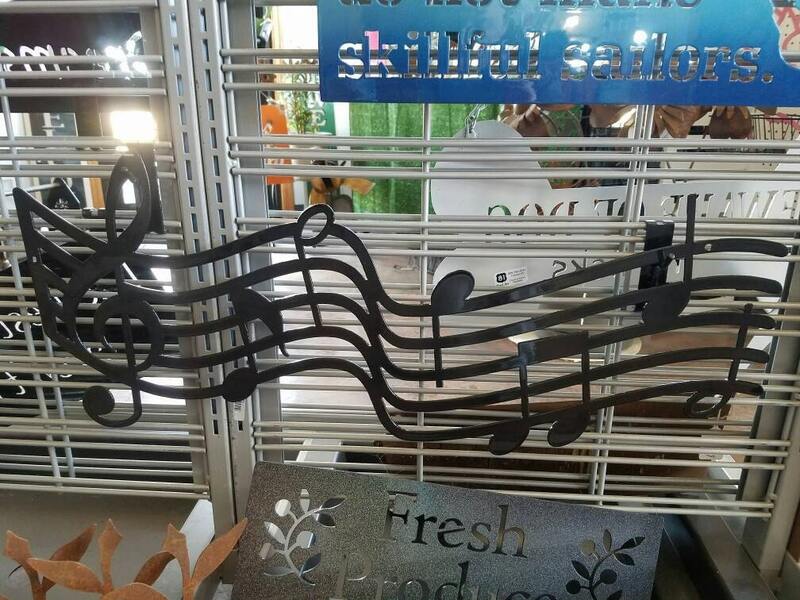 It's very durable indoors or out! 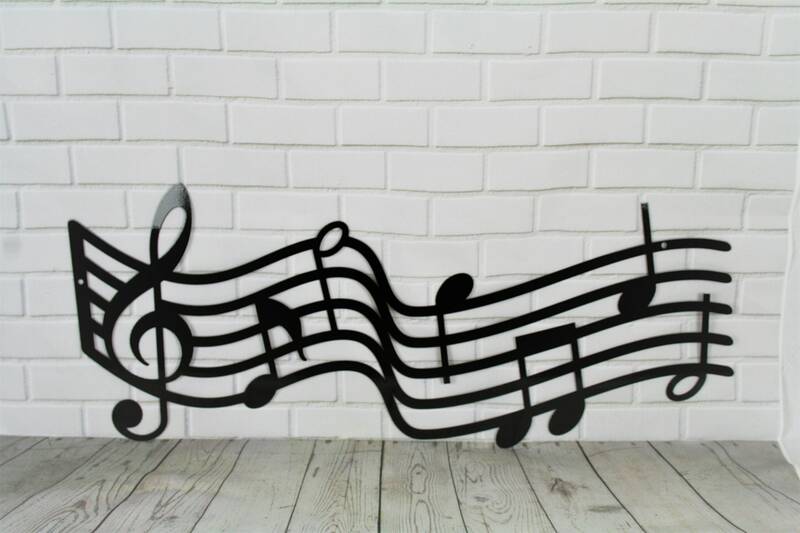 We hope you'll love our music decor as much as we loved creating it! 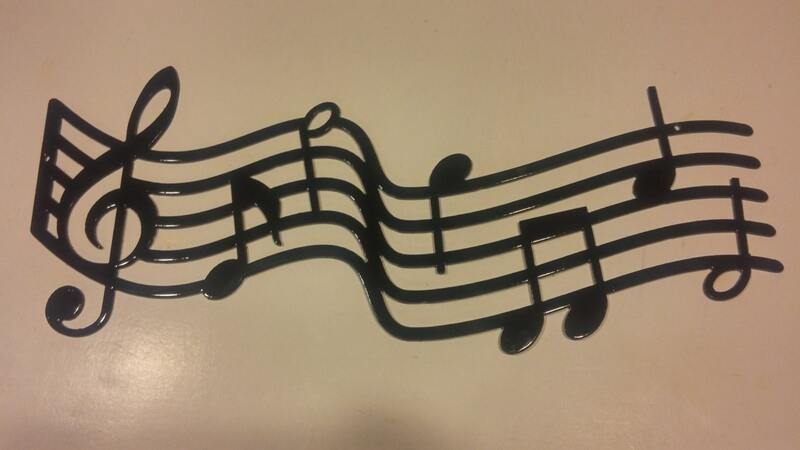 All of our products are made by the two of us in our home shop -- 100% made in USA and made to last! Great quality and fast delivery.